I was running some errands the other morning, on a brilliant sunny day in the mid-winter. It was chilly, around freezing with a wind chill that took it down to -15 C.
City Hall Square in Copenhagen on morning. 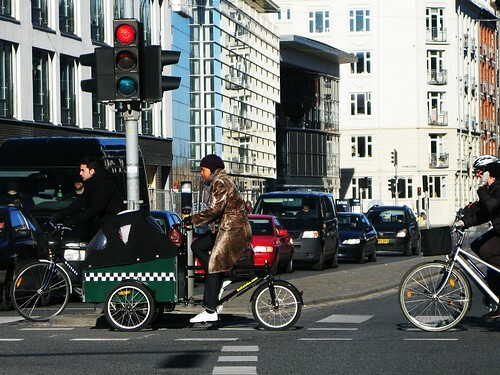 He's riding either a Sorte Jernhest [Black Iron Horse] cargo bike or a Bellabike. 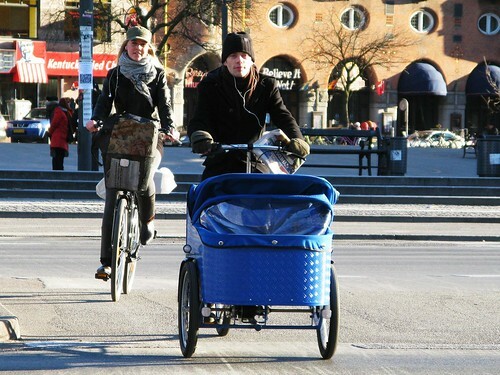 A Bellabike making the crossing over Nordre Fasanvej. One person adjusting the iPod to find the perfect sunny winter's day music and another contemplating the light changing on his Nihola. 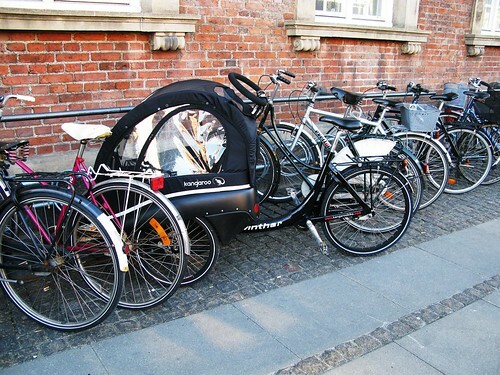 A Winther Kangaroo hanging with friends in the bike rack. 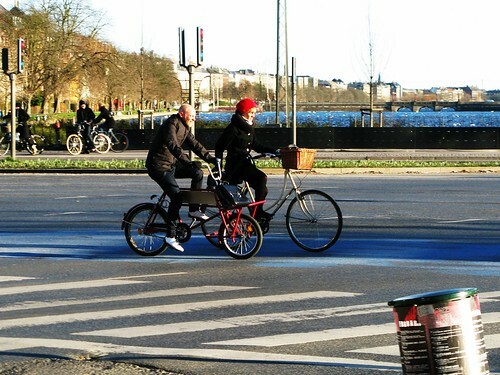 A couple of Copenhageners commuting together. 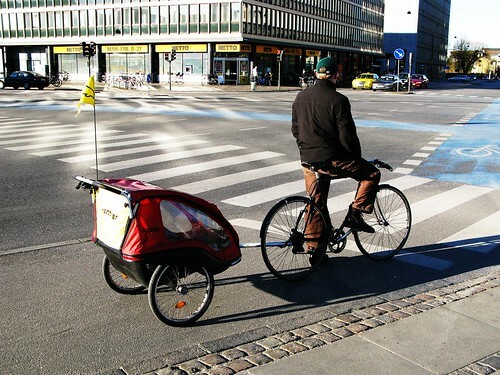 He's on a classic Short John delivery bike. 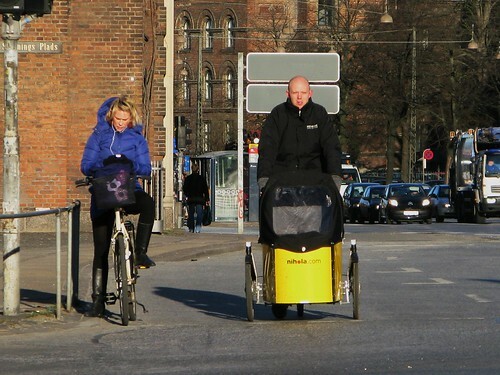 Dad on his way to work after having dropped off the kids at daycare with an older Winther Dolphin trailer.